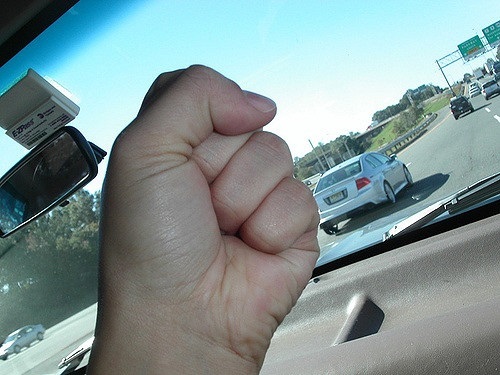 According to an analysis by the Auto Insurance Center of the most recent fatality data available from the National Highway Transportation Safety Administration, the United States averaged roughly one deadly crash related to road rage per day in 2016, with Indiana home to the most fatalities related to road rage and aggressive driving incidents, followed by Colorado, South Carolina, Alabama and Connecticut. However, that study – which is based on 2016 Fatality Analysis Reporting System data compiled by NHTSA – also found that road rage and aggressive driving could only be blamed for roughly 1.05 percent of all fatal crashes that year. In terms of generational cohorts, the study found that drivers born between 1981 and 1996 are involved in more than half of fatal aggressive driving crashes, while drivers born between 1965 and 1980 accounted for more than a fifth of deadly road rage crashes, although they were involved in a quarter of fatal accidents overall. Conversely, the report found that while the youngest drivers – born between 1997 and 2012 – were involved in 7 percent of all fatal crashes but 14.6 percent of crashes involving aggressive driving specifically. And though drivers born between 1946 and 1964 accounted for nearly a quarter of all fatal crashes, they caused just 8.2 percent of fatal aggressive driving accidents. The Center’s analysis found that fatal accidents occur most often in the afternoon rush hours between 4:00 p.m. and 6:00 p.m., pointing to related research that indicates texting while driving spikes during this time as well. Finally, Sundays were found to be the “heaviest day of the week” for aggressive driving and road rage accidents, followed closely by Monday. Additionally, drivers tended to get more “heated” in warmer temperatures, as July and September were the top months for deadly aggressive driving crashes. By contrast, rates of aggressive driving accidents were notably lower in November, December, and January.